Do you remember all those famous soap operas of the 80's (which technically carried over into the 90s, the 2000s and beyond)? The 'Bold and the Beautiful' type story lines where Adam dates Beverly who falls for Cass who is married to Donna but secretly loves Evelyn who is having her boss Ferrara's baby even though he's married to Gina.... you get the idea. A huge confusing inter-linked chain. Well, today's tale of kindness reminded me of that - but in a really positive way. You see, the 12 people in this story were all strangers, linked by a single primary act of selflessness - a kidney donation. It is going to get confusing so keep track now of our main characters. 21 year old Brendan Flaherty was dying of kidney failure and was on the kidney transplant list for six years. Seeing that no donor was coming for him, his friend Philip Cameli volunteered his kidney. But Philip was not a match, unfortunately. Luckily, 44 year old Kimberly Cooper just happened to be a match and was more than willing to give her kidney to young Brendan. This selfless act by Kimberly for a stranger inspired Cameli to keep his name on the donor list. As luck would have it, he was a perfect match for Clotidle Ruiz, whose daughter Daisy had been tested but rejected as a match for her. Now, Clotidle Ruiz's daughter Daisy was so touched by Cameli's selfless act that she decided to keep her name on the donor list even after her mom had a new kidney. Daisy's kidney was a match for Scott Rial who was on the waiting list. Believe it or not, this chain of donating to a stranger and then inspiring a loved one of the recipient to donate their own kidney went on and on until eventually 6 strangers donated their kidneys to 6 strangers in need. All 12 who were operated at Northwestern Memorial Hospital would finally meet each other together for the first time, months later. You can view their reunion in the video below. 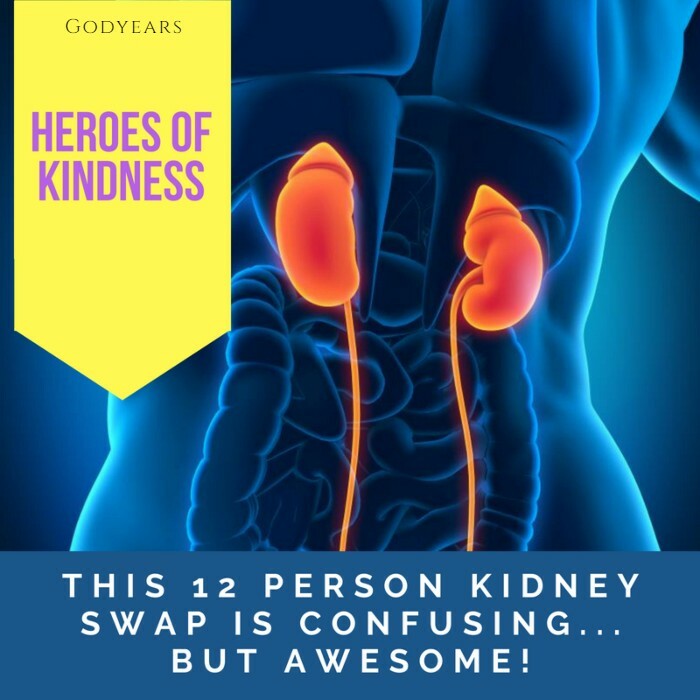 The 12 person kidney swap is an unprecedented event as far as I can recall or find. And it all began with Kimberly Cooper and Philip Cameli, two generous hearts who chose to donate their kidneys. "I'm going to have a lineage to someone who's going to live on. That's more than money and that's more than words." 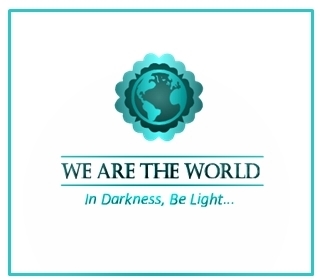 This post is part of the We Are the World Blogfest, a monthly event to showcase stories of compassion. Simon Falk, Andrea Michaels, Shilpa Garg, Sylvia Stein and Belinda Witzenhausen. 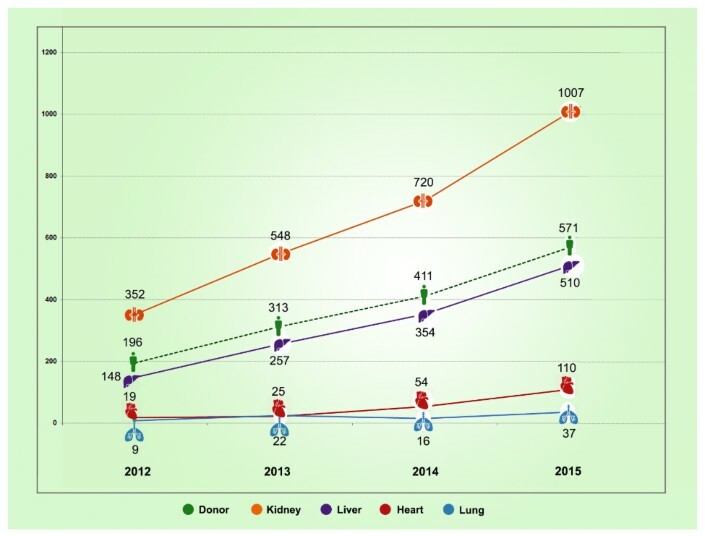 Even though the numbers have risen to 3800 in 2017, for India, the number of available organ donations (even from the deceased, as shown in the table above) are very less, due to various reasons including cultural beliefs. The sad part is the loss of life of our fellow people which could be averted. 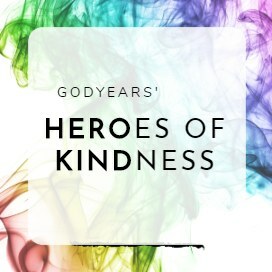 Kimberly Cooper, Philip Cameli and the other donors also make it to the list of Heroes of Kindness I am keeping track of; people who inspire the world with their deeds. Such generosity of these people. How wonderful that they are now linked by their kindness. Unfortunately, some encrypting on the video has rendered it not playable for me. 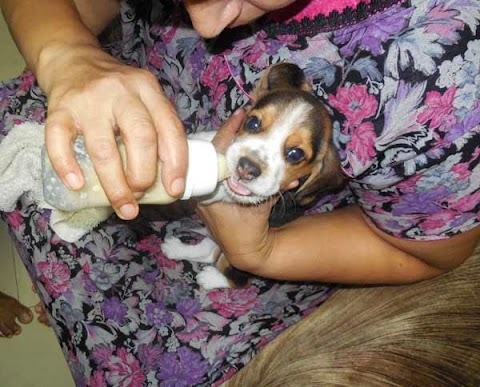 Thanks for yet another great Heroes of Kindness and WATWB post. 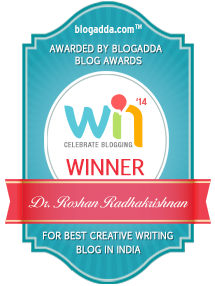 This is so wonderful and so happy to read this the first thing on a Monday morning. Absolutely lovely.